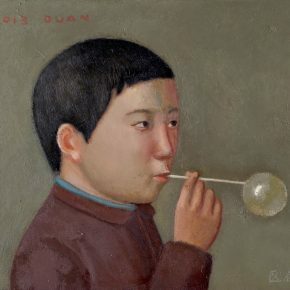 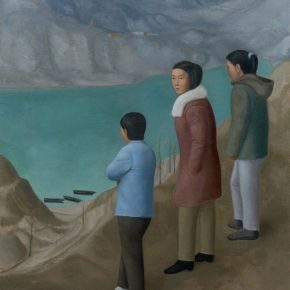 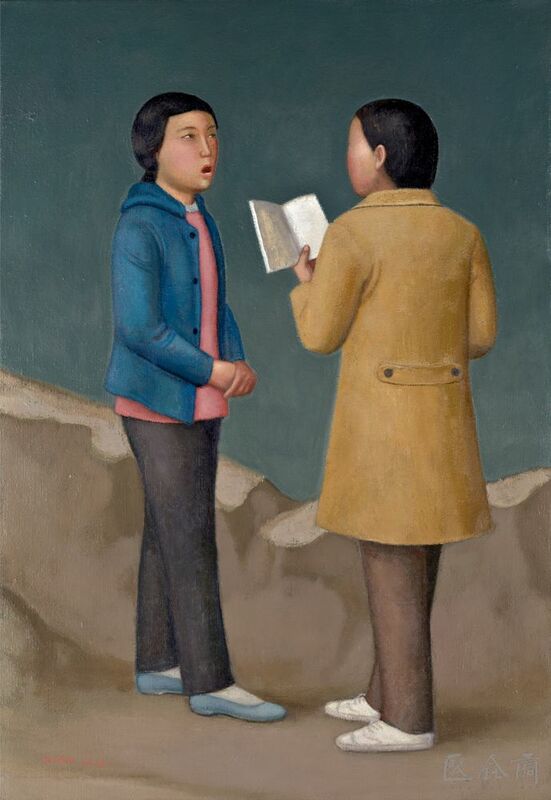 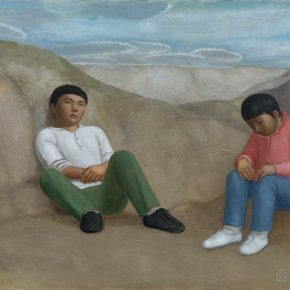 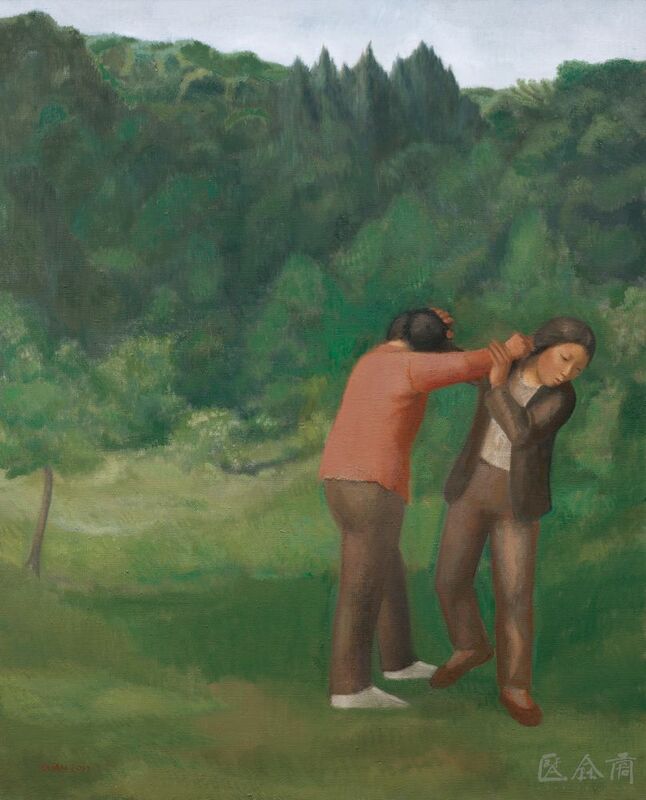 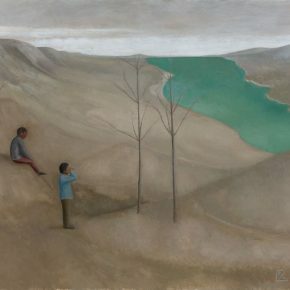 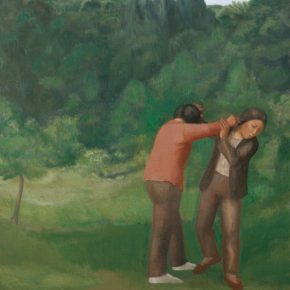 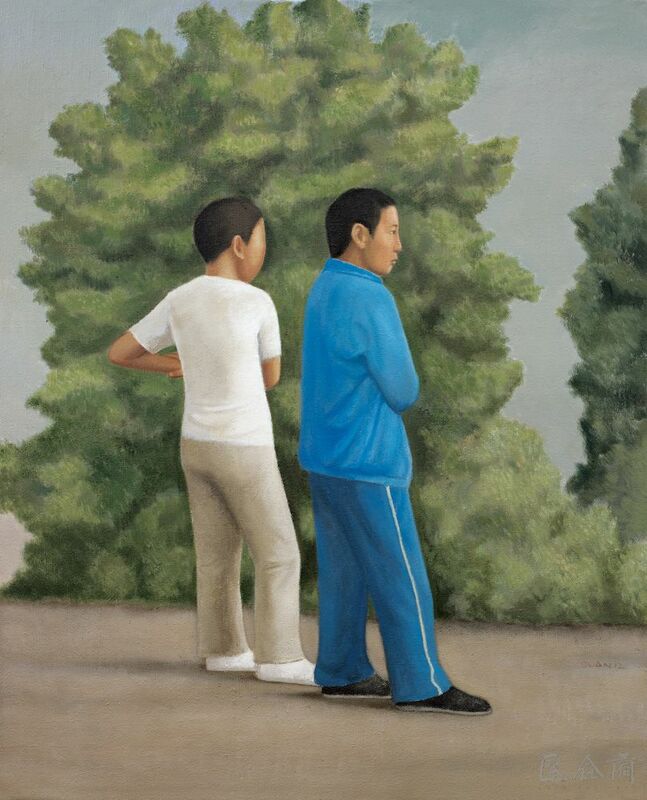 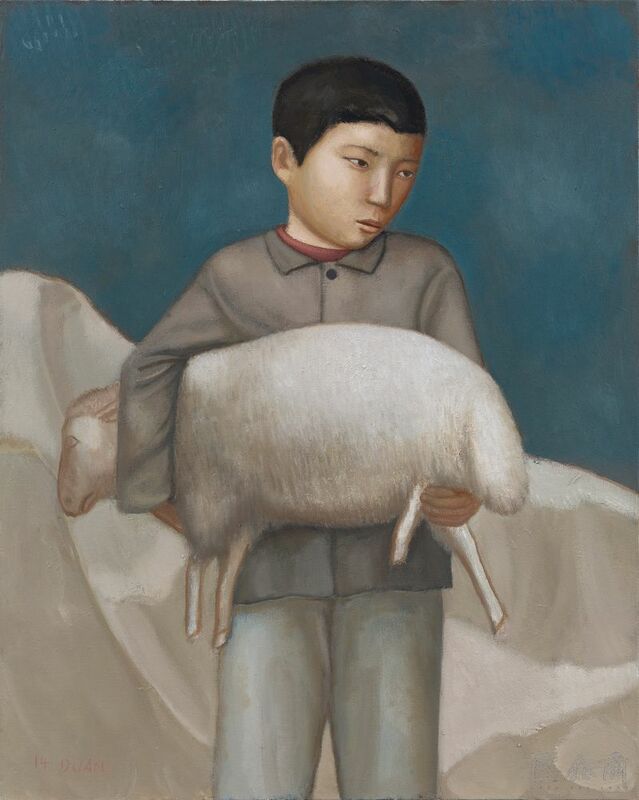 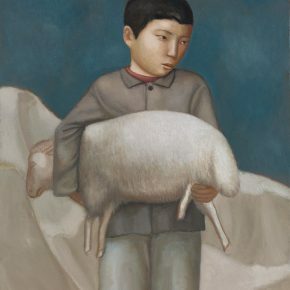 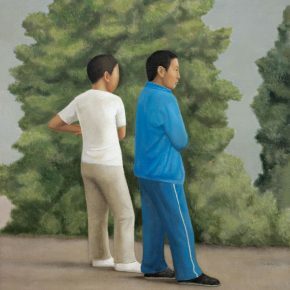 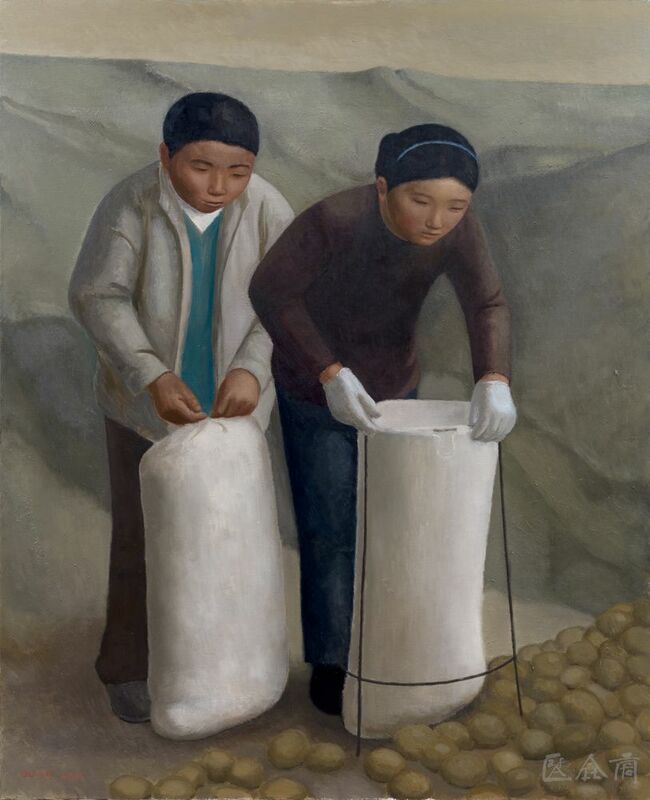 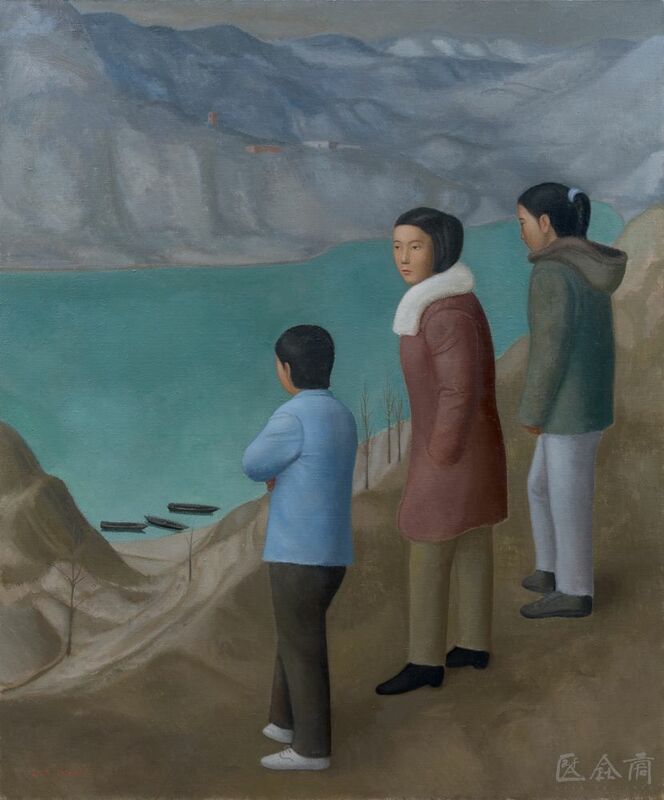 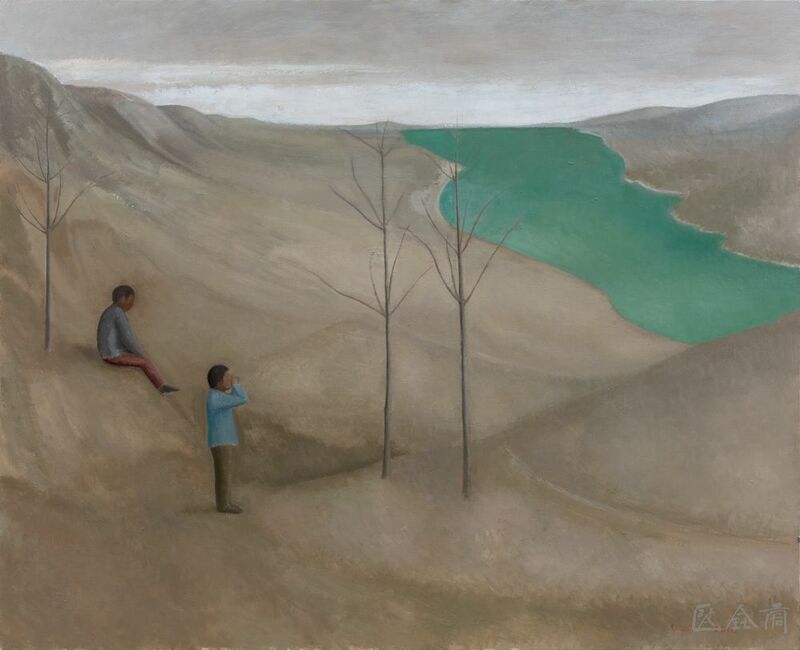 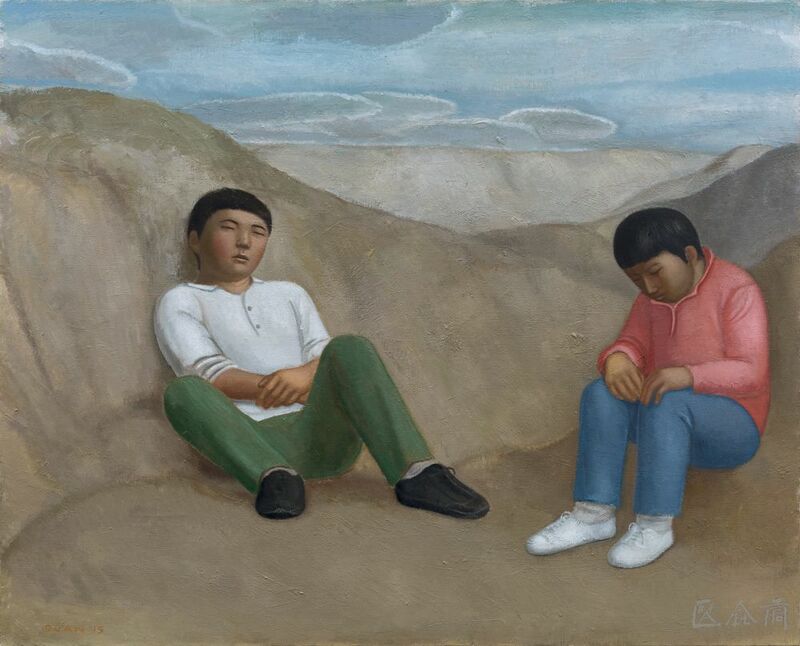 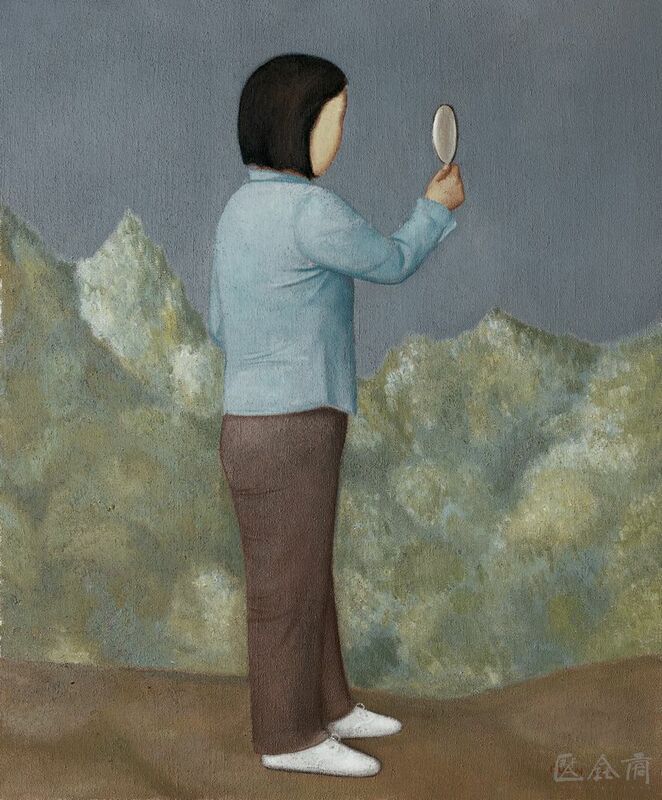 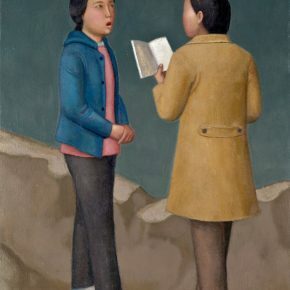 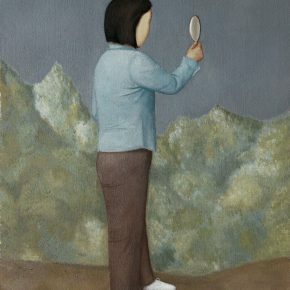 “In recent years, Duan Jianwei often traveled to the grottoes, temples and folk cultures of northern China, and has gained new enlightenment from the traditions of ancient statues and murals. 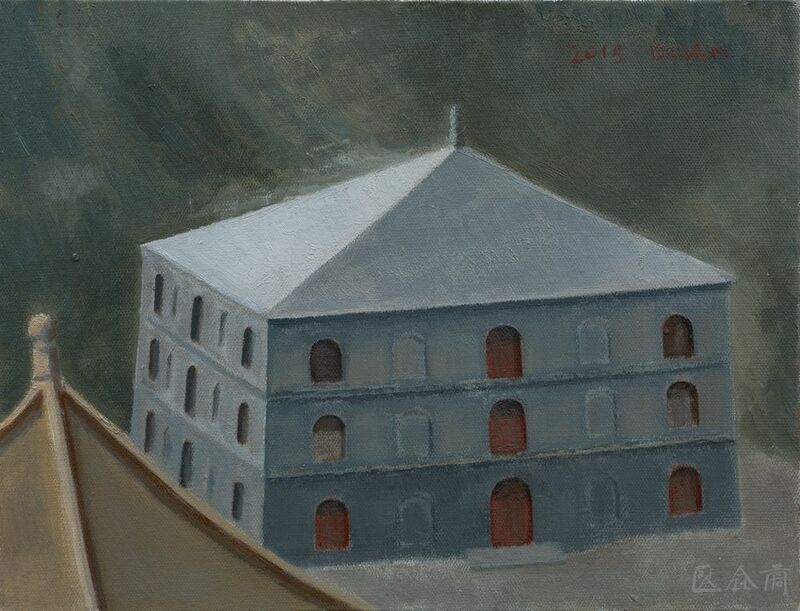 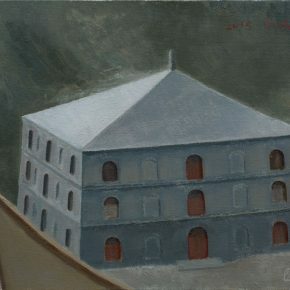 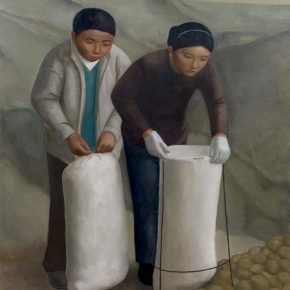 This tradition is much closer to the artist’s spiritual situation than the art of the early European Renaissance. 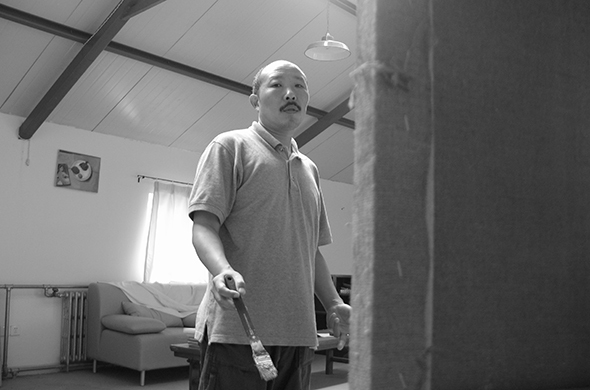 The ancient Chinese tradition was originally an art that matured earlier than the West, emphasizing language form and was more spiritual. 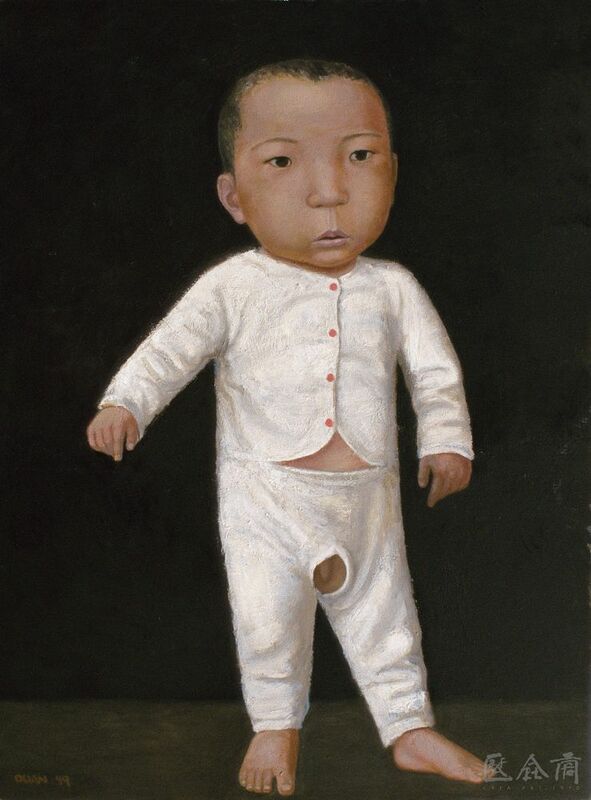 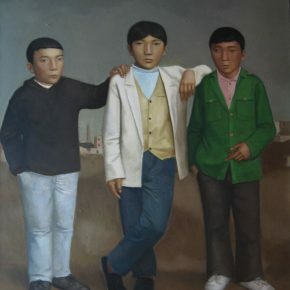 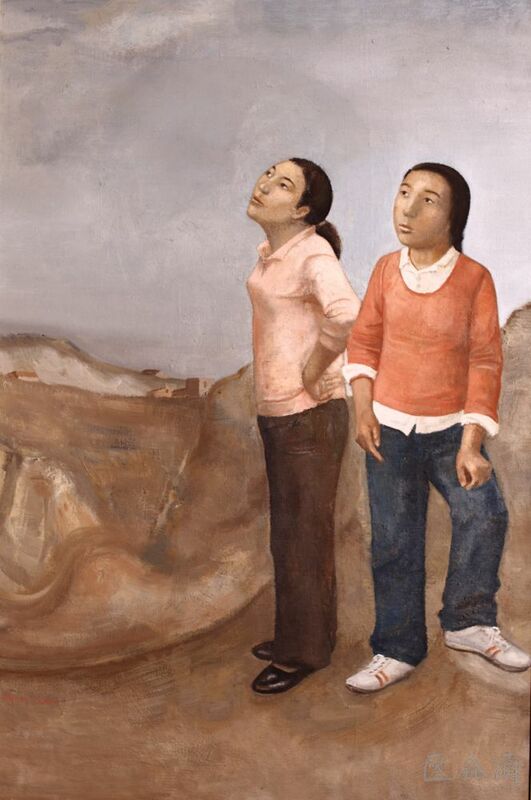 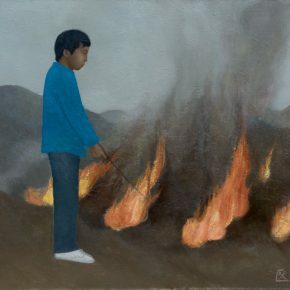 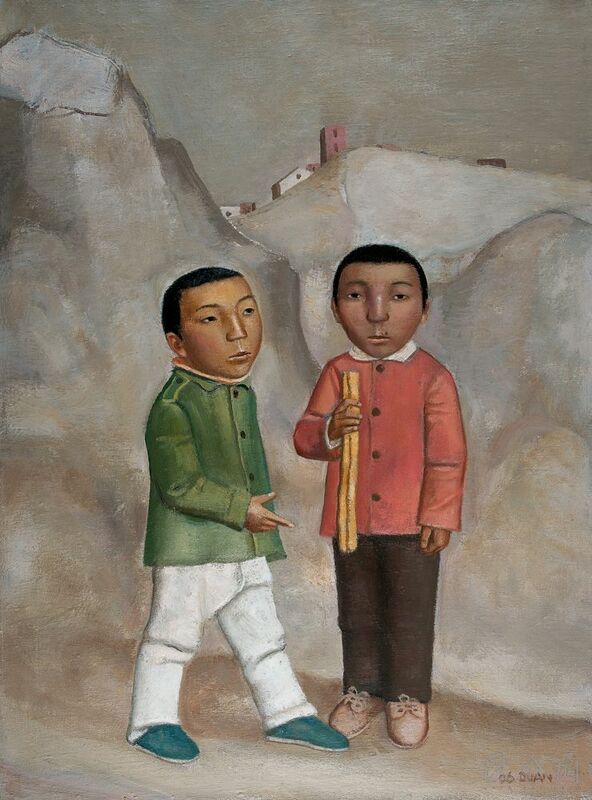 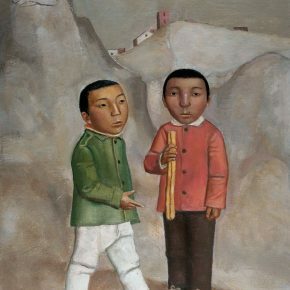 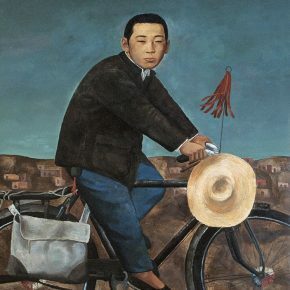 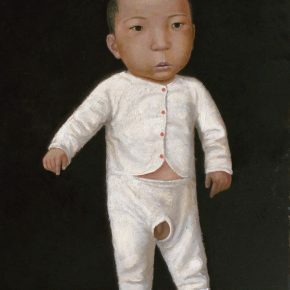 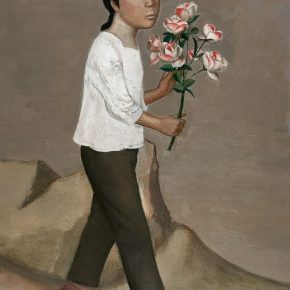 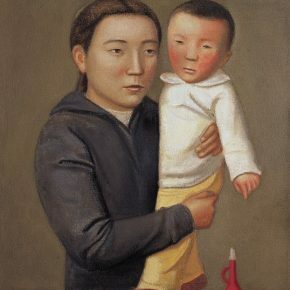 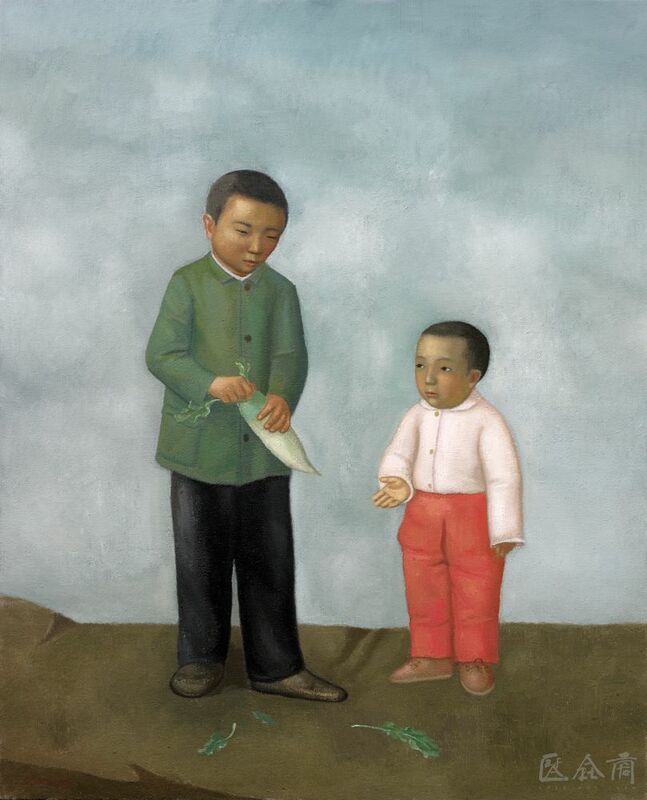 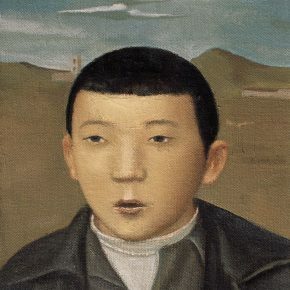 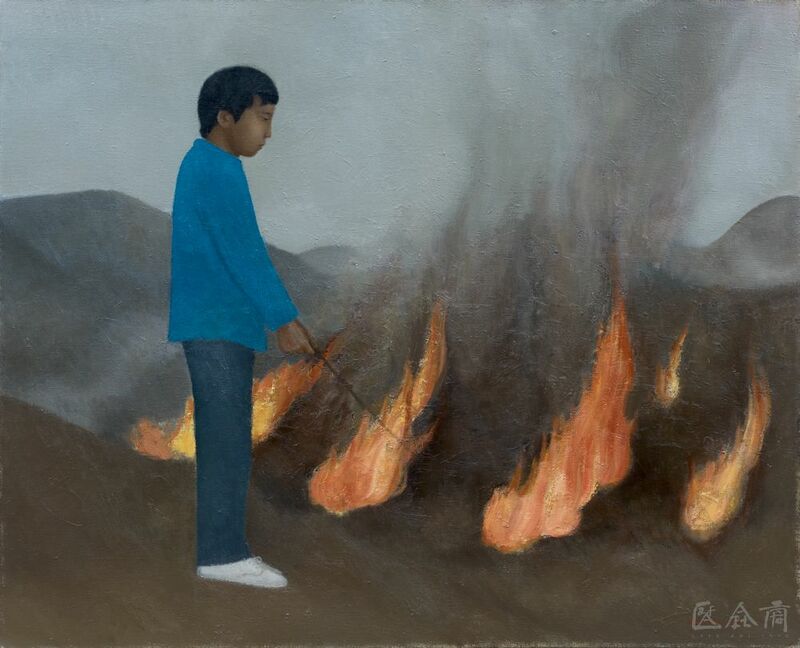 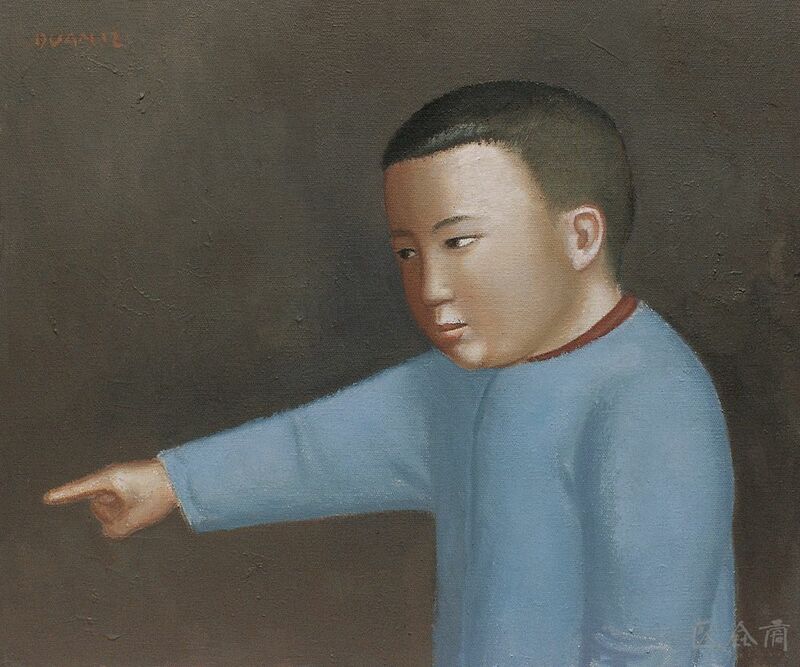 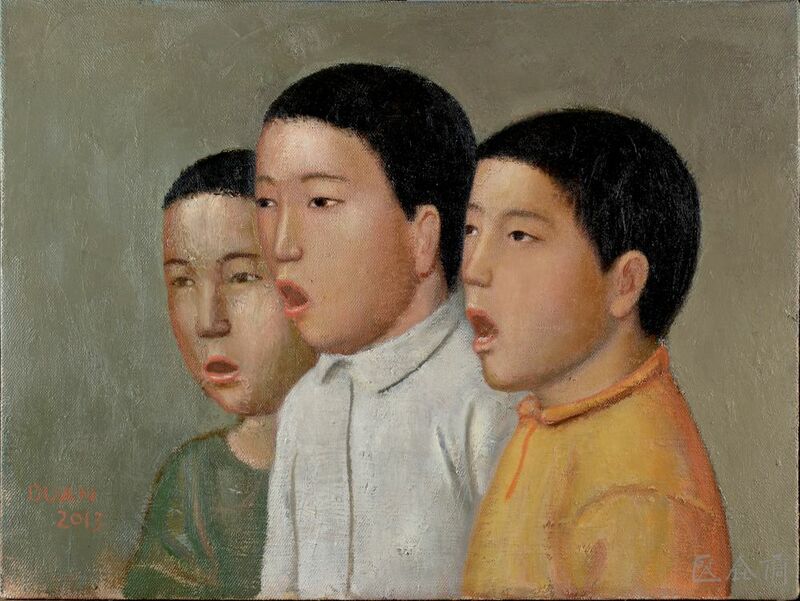 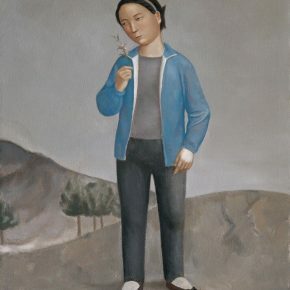 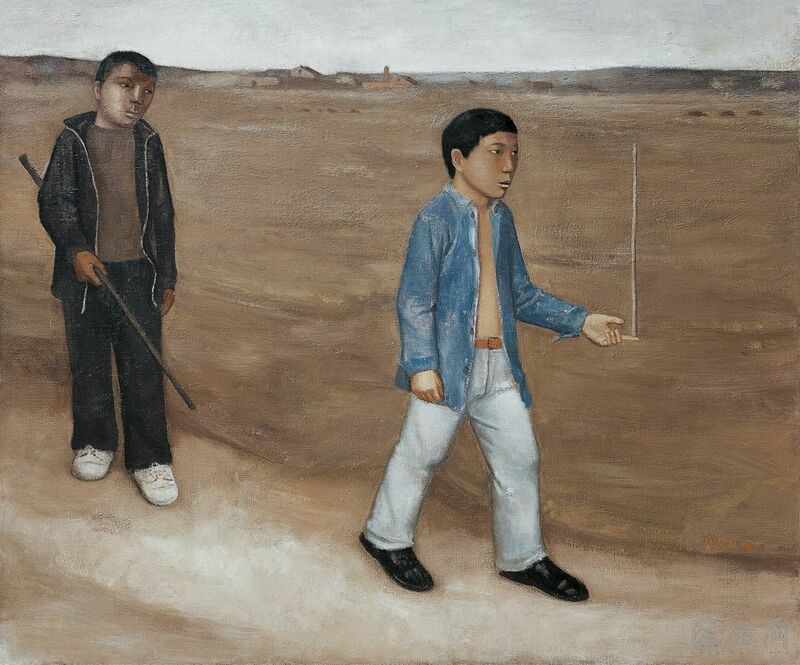 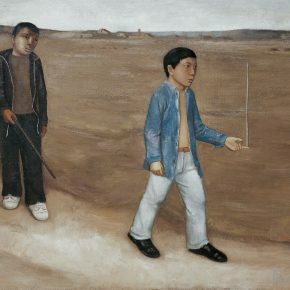 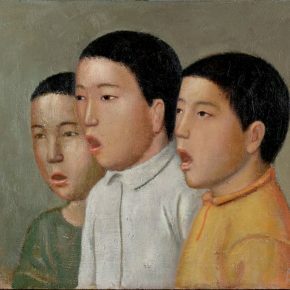 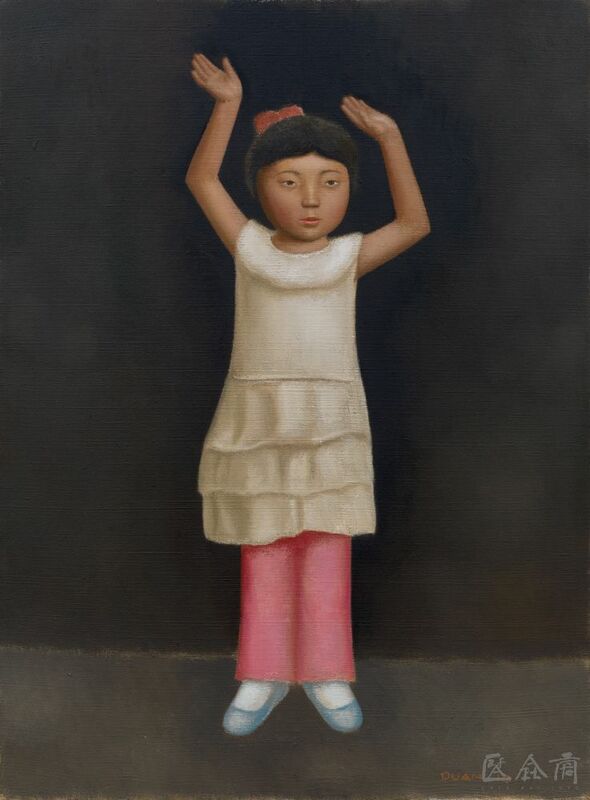 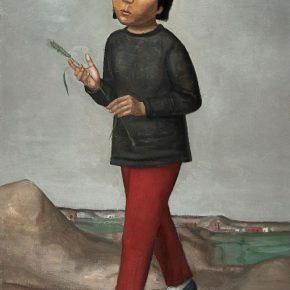 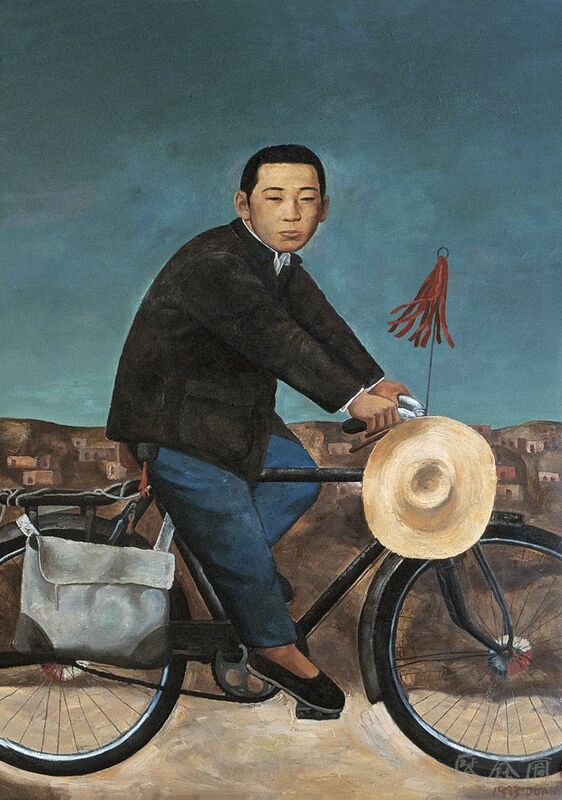 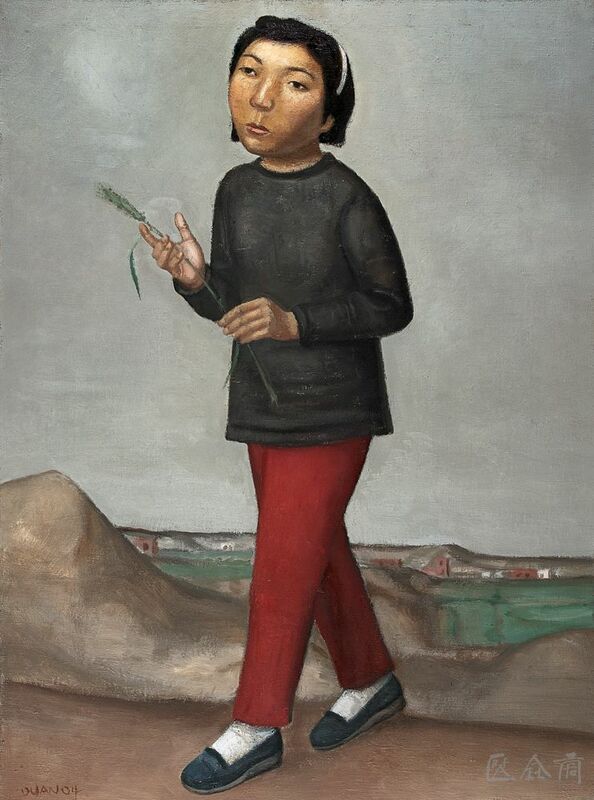 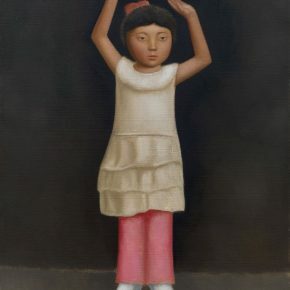 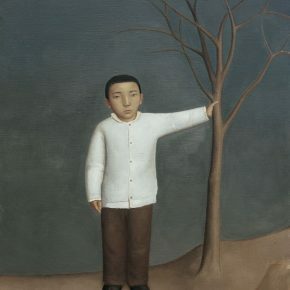 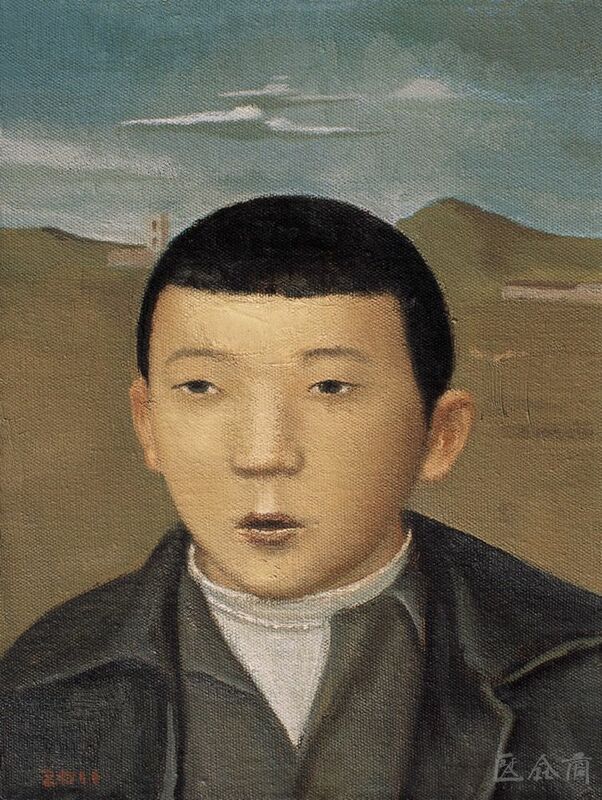 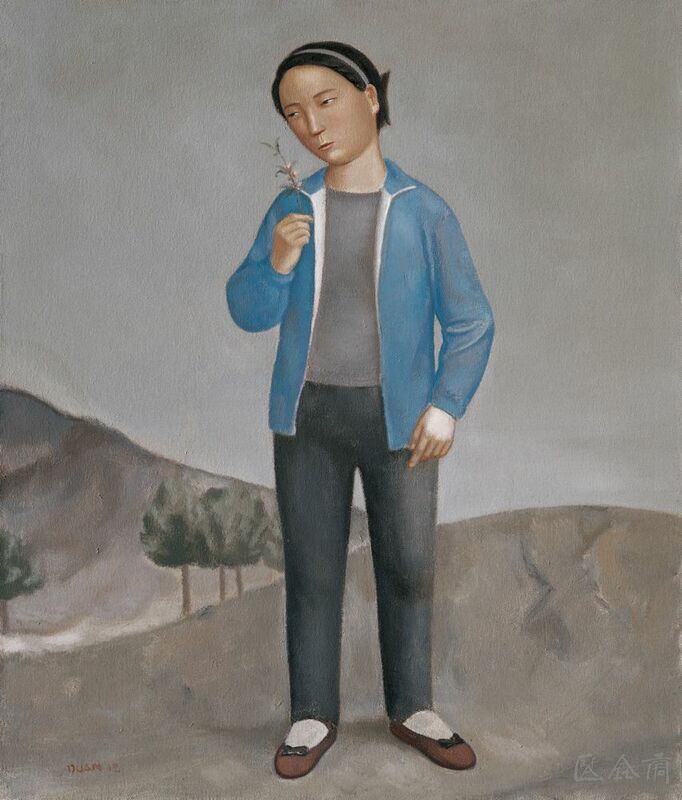 Duan Jianwei seems to have clearly seen the natural umbilical cords connecting the spirit of the statues of ancient figures and the spirit of the oil paintings of native people from the Central Plains over the decades. 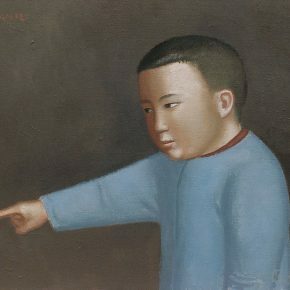 The grottoes and temples which are scattered in Shaanxi, Shanxi, Henan and Shandong in northern China, offer a limitless supply of paradigms to the artist for study, and they have reached an internal consistency with the spiritual image of Chinese characters, which is undoubtedly in line with the sentiment of people who have searched for a thing hundreds and thousands of times in the crowd, suddenly he turned back and found it was there in the dim light. 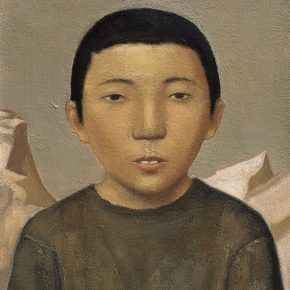 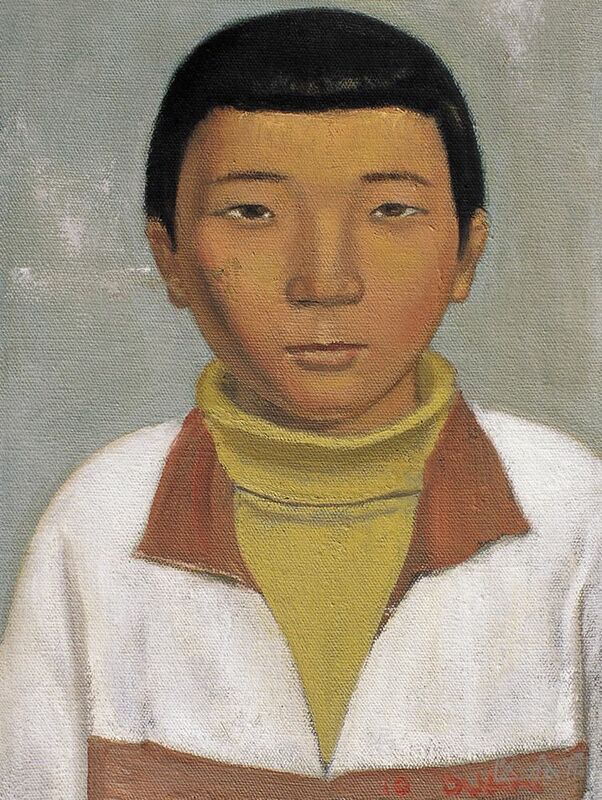 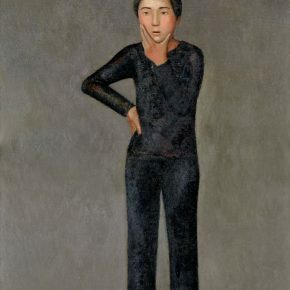 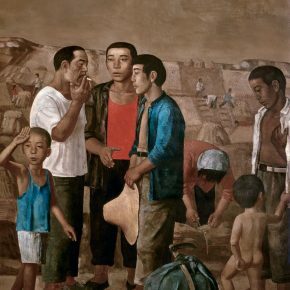 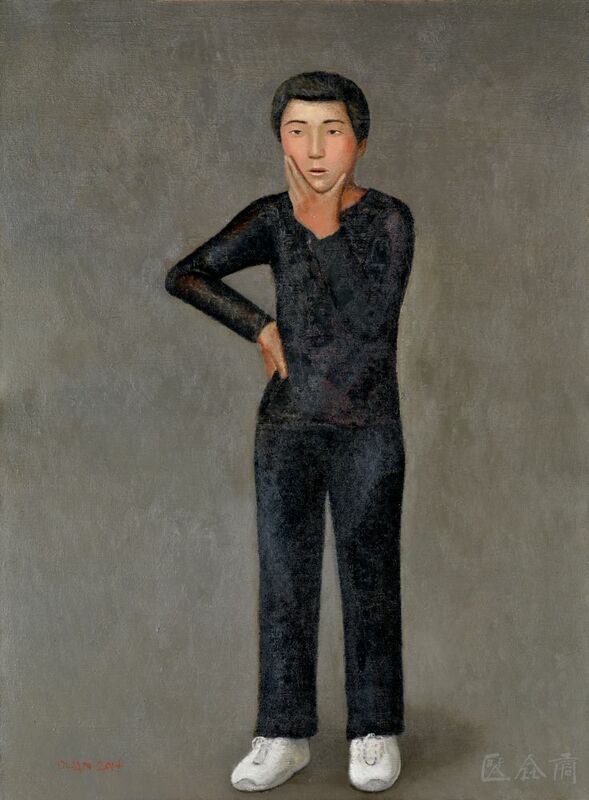 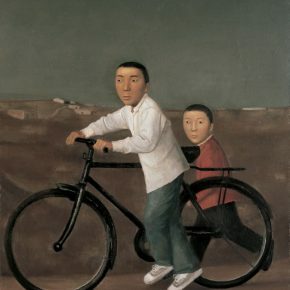 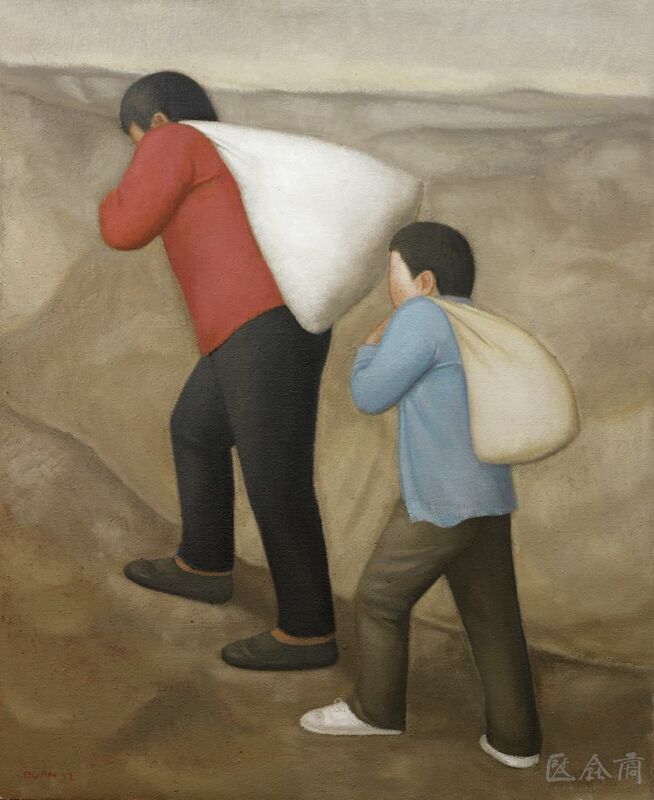 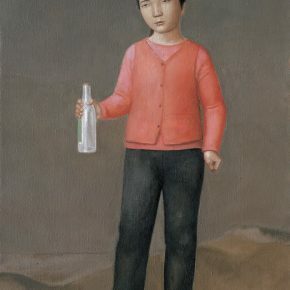 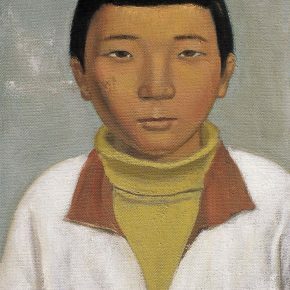 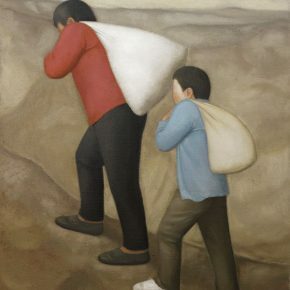 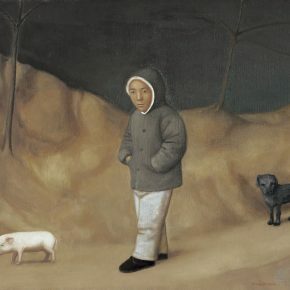 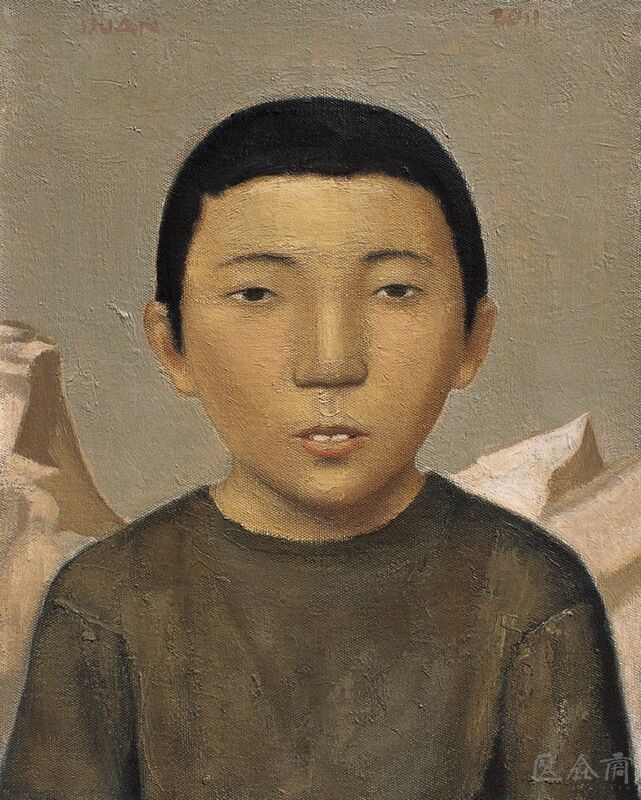 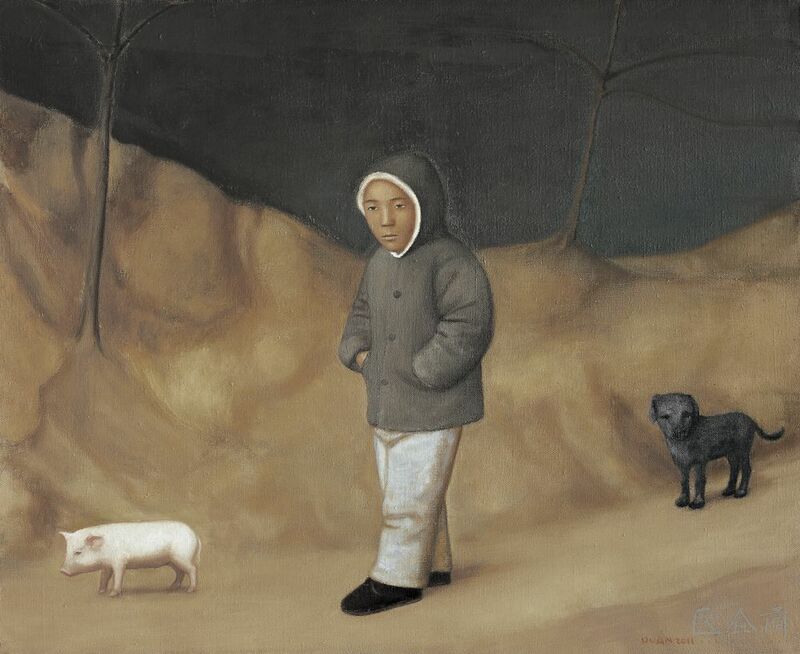 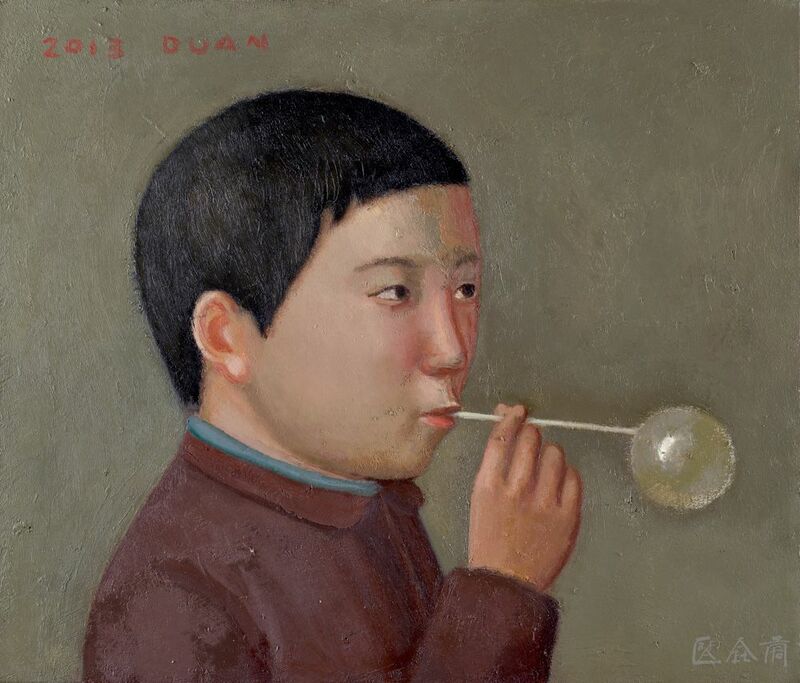 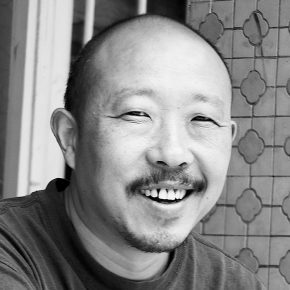 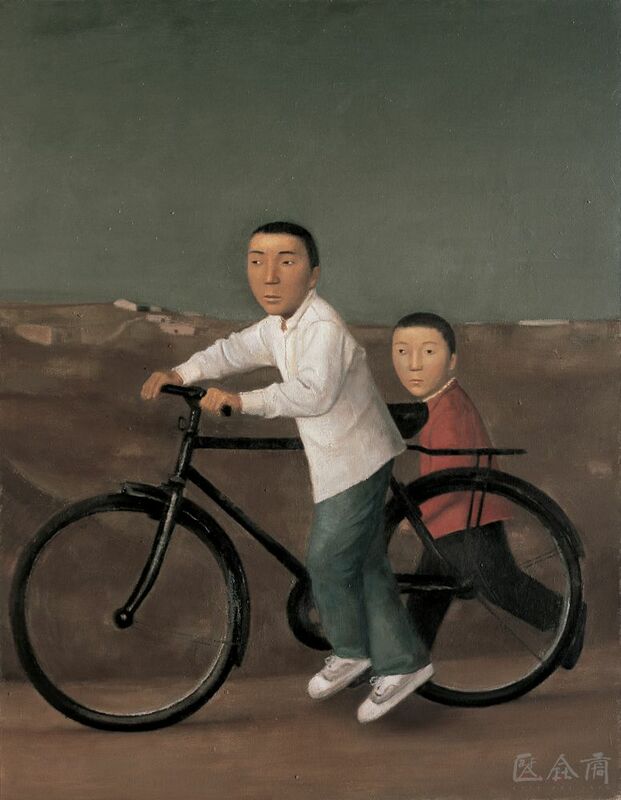 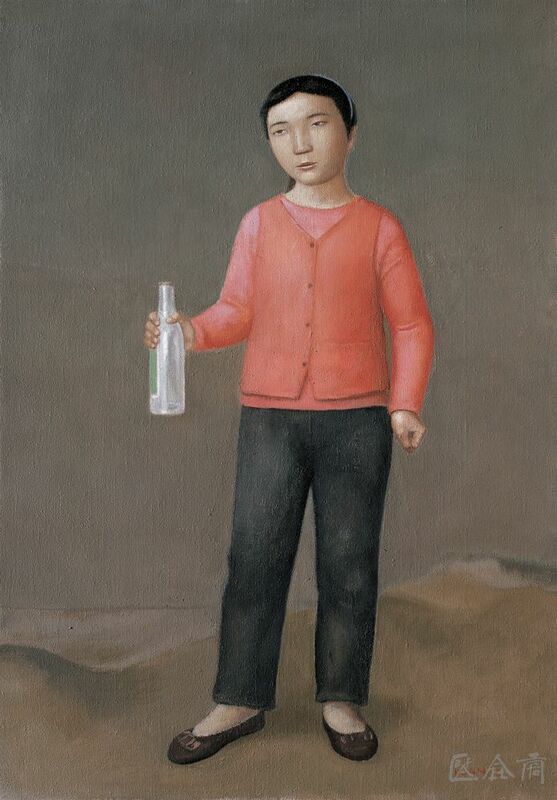 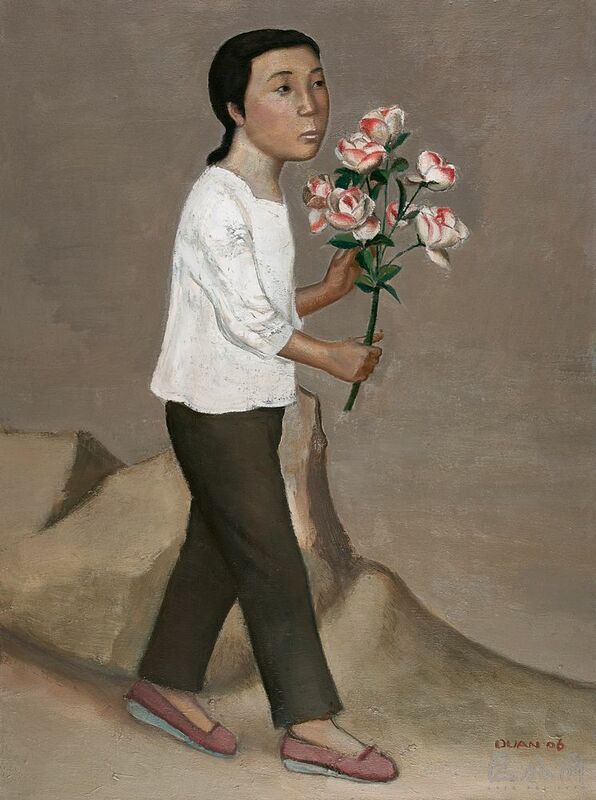 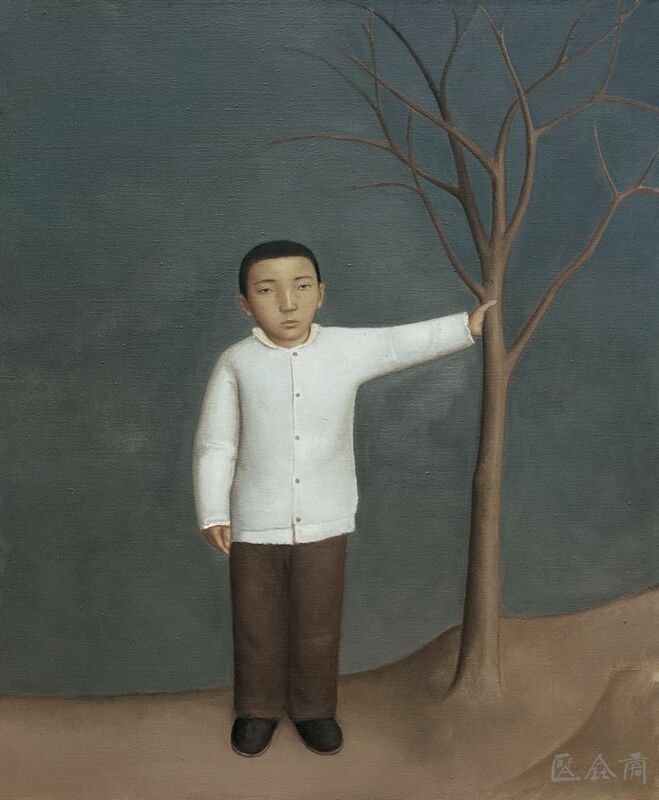 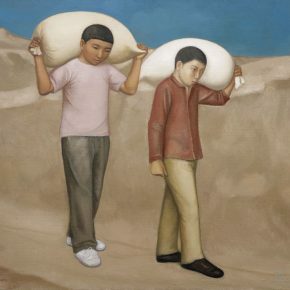 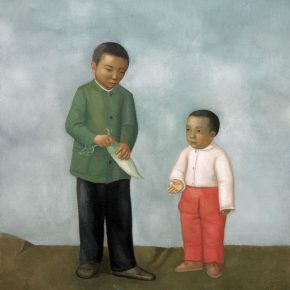 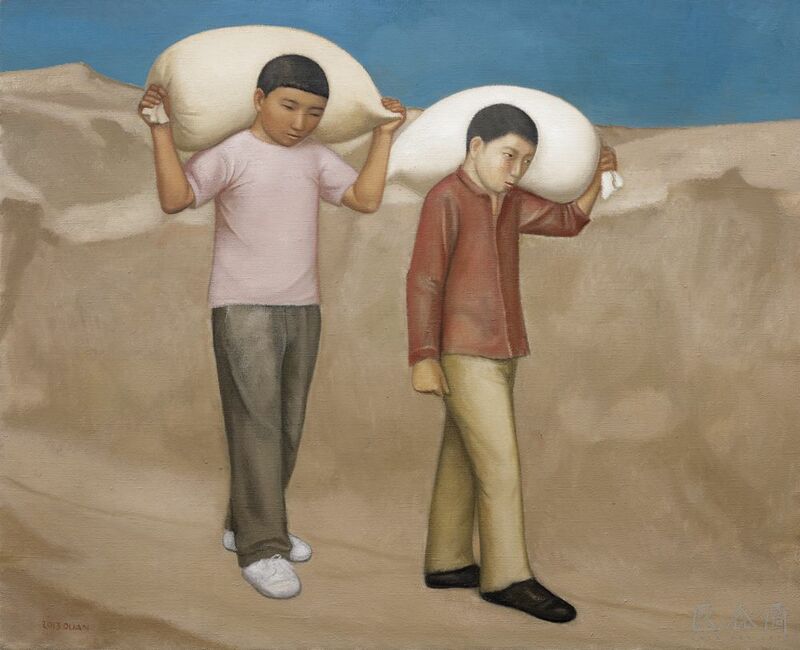 Duan Jianwei was born in Xuchang, Henan province, China, in 1961, and graduated from Henan University with a bachelor’s degree in 1981. 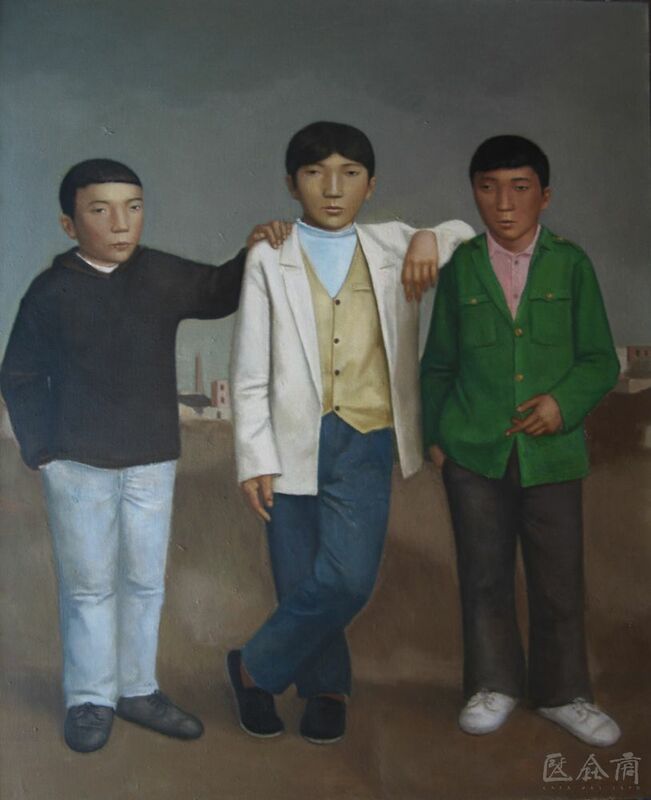 He is a teacher at the College of Fine Arts, Capital Normal University.